Geographically, hill 862 seems to correspond to Colle Belvedere. It was the 3rd Battalion’s second objective and it was taken on 26 January 1944 by the 11th Company. 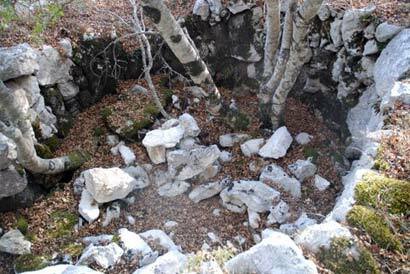 According to General Chambe in his book on the Belvedere battalion, in 1944 it was a naked glacis with no vegetation. However, hill 862 is now covered with bushes and undergrowth. Counter-attacked twice by the Germans, hill 862 was taken twice by the French. The capture of the hill established the breach in the Gustav Line and allowed the 4th R.T.T. to prove to the Allies that it had fulfilled the “mission impossible” that it had been given by General Clark. The seizure of hill 862 thus became the symbol of the French victory in the fighting at Belvedere. Major Gandoet and Lieutenant Jordy handed hill 862 to the 7th R.T.A. on 4 February 1944, the last day of the fighting at Belvedere. This is your domain. You have become the lord of the manor. You can see, the land is not bad, with a little luck you can live here. And the view is magnificent. But beware of Cifalco! 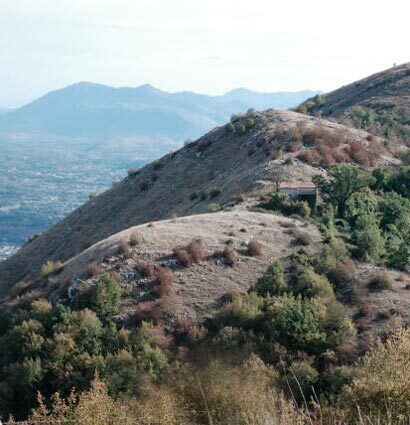 The Peak with no Name, hill 862, hill 681 and hill 721 together performed a crescent (facing Casale Abate) which is identified as Casale Belvedere on some maps.